Dr. Makari-Judson is Associate Professor of Medicine at Tufts University School of Medicine and a practicing medical oncologist at the D’Amour Center for Cancer Care in Springfield, Massachusetts. After graduating from Harvard University then Cornell University Medical College, Grace Makari-Judson completed her specialty training at the New York Hospital and Memorial Sloan Kettering Cancer Center. 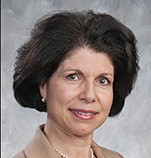 In 1988, she came to Baystate Medical Center and in 1994 was named Medical Director of the Comprehensive Breast Center promoting the goals of providing coordinated care to women with breast cancer. In 2011, she was named Co-Director of the Rays of Hope Center for Breast Cancer Research and subsequently created a lay Advocacy Group to accelerate and focus research in the Pioneer Valley. “The money is raised in this community; the research is done in this community. The Advocacy Group links the investigators to the community to come full circle.” She is co- author of the book, “Coping with Chemotherapy and Radiation”, a frequently invited speaker on diseases of the breast, and has been repeatedly named to “Best Doctors in America”. 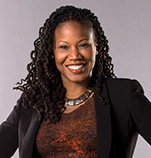 Majora Carter is an Eco-entrepreneur, pioneer of one of the nation’s first urban green-collar job training and placement programs and founder of Sustainable South Bronx, Majora Carter has forged new paths in urban sustainability. Dubbed “The Prophet of Local,” Carter serves on the boards of the US Green Building Council and the Wilderness society. A MacArthur “genius” fellow, Carter has received numerous awards, fellowships, and an honorary doctorate from Mercy College for her work. Majora grew up in the South Bronx. She earned her BA degree from Wesleyan University and returned to New York to earn her MA from New York University. While back in New York, she worked as Associate Director for The Point Community Development Corporation, advocating for the development of Hunts Point Riverside Park. During this time she took her dog for a walk in the neighborhood, and quite literally stumbled into a large, weedy lot at the end of Lafayette Avenue, which was being used as one of many illegal dumping sites in the city. At the end of this lot she found herself standing on the banks of the Bronx River. When she realized her community had riverfront access that wasn’t occupied by factories and waste facilities, Carter made it her mission to green the area. She helped secure a $10,000 grant from a USDA Forest Service program to provide seed money for river access restoration projects. With the help of other organizations, activists, and the Parks Department, Carter eventually grew that seed money into millions, creating a greenway movement for the entire area. In 2001 Majora founded Sustainable South Bronx (SSBx), which she ran as executive director until 2008. SSBX continued to advocate for the development of Hunt’s Point Riverside Park along with other Bronx River waterfronts. Some of SSBx’s projects involve fitness and food choice improvements, including the creation of a community market, and air quality improvement. In 2003, SSBx started the Bronx Environmental Stewardship Training program, one of the nation’s first urban green collar training and placement systems. Majora’s organization is part of a grassroots movement to collectively address and solve two of our nation’s most pressing issues: jobs and the environment. SSBx is one of several successful organizations devoted to greening urban areas and empowering disadvantaged communities with revitalization projects. But Majora herself rose to national prominence with her 2006 Technology, Entertainment, Design (TED) Talk “Greening the Ghetto,” which remains one of The Top Ten TED Talks ever given. In her presentation she discusses the link between environmental and social abandonment. “…economic degradation begets environmental degradation, which begets social degradation.” Carter stresses the notion of a Triple Bottom Line, which takes into account impact on the developer, the community, and the government. “What’s missing is a cost-benefit analysis between not fixing an environmentally unhealthy community versus incorporating structural, sustainable changes.” Majora is quick to point out that she is not anti-development. “I’ve embraced my inner capitalist,” she notes, saying there is nothing wrong with developers making money. This philosophy, supported by slogans such as “Green is the New Black,” and “Greening the Ghetto” have helped her spur on one of the biggest urban restoration projects in the country. Majora may be the only person to receive a Liberty Medal for Lifetime Achievement from Rupert Murdoch’s: New York Post AND a John Podesta’s Center for American Progress. Her ability to articulate the fact that environmentally sustainable and compassionate development can – and should - also be profitable is the main reason Carter has received such wide base of support. Carter has been featured in multiple television and radio programs, including HBO’s The Black List, Volume 2, American Public Media’s Market Place, and PRX’s This I Believe series. In addition, Majora has hosted multiple media presentations on urban sustainability with Discovery Communications’ Science Channel, and appeared on the Sundance Channel’s The Green, a television segment dedicated to the environment. Majora co-produced the pilot for the public radio’s The Promised Land series, which tied to win a Corporation for Public Broadcasting Talent Quest grant. She hosts the series, which has gone on to win a 2010 Peabody Award. The Hunts Point Riverside Park project that started Majora’s quest to revitalize the South Bronx became the first waterfront park that the South Bronx had in over 60 years. In an area with one of the lowest parks-to-people ratios in the city, this was a huge accomplishment alone. What started as $10,000 seed grant grew3 into a $3million park project, which in turn became a multi-phase, ongoing revitalization of the entire South Bronx waterfront that included the creation of bike paths, the dismantling of a section of underused freeway, and in-depth waste and toxin removal. As Majora testifies, sustainable and compassionate change has increasing returns. Majora moved on from SSBx in 2008 and started a private, for-profit green economic consulting firm, The Majora Carter Group, LLC. The company delivers strategies for climate adaptation, urban micro-agribusiness, and leadership development to businesses, governments, foundations, universities, and economically under-performing communities. She has since been listed by Fast Company magazine as one of the most 100 Creative People in Business. Majora Carter’s story is an example of how our environment can define us, transform us, and motivate us. She has shown through example how communities can create productive solutions that are both profitable and moral. As an eco-entrepreneur, she focuses on how economic, social, and environmental inequalities interconnect, and how compassionate, thoughtful leadership can transform both our landscapes and our lives.